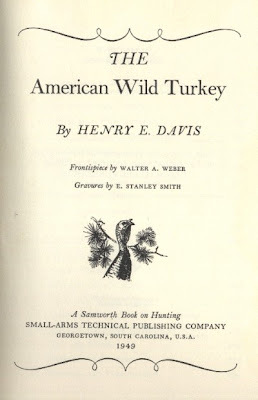 Bookride: The American Wild Turkey. Henry Davis. 1949. Henry Davis. THE AMERICAN WILD TURKEY. Small Arms Technical Publishing Company, Georgetown, S.C. 1949. Although Premier Press states that their runs were 3000 copies, very seldom did they actually reach that number during publication. They only produced enough to meet the pre-order subscription numbers.